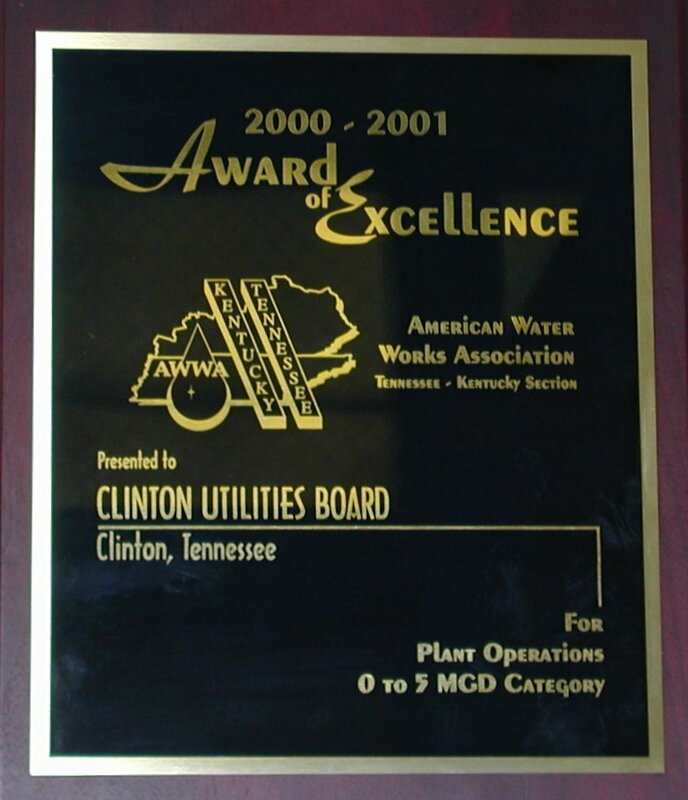 Clinton Utilities Board (CUB) has been recognized as having the best overall water treatment plant of its size in Tennessee. At the award luncheon in Lexington, the Kentucky/Tennessee Section of the American Water Works Association presented CUB with a plaque signifying the award. This past summer CUB was selected as a finalist in the annual selection process. After site visits, representatives of the Association selected CUB's water plant for their annual "Award of Excellence" based on the plant's overall operations, efficiencies, building and equipment maintenance, and appearance.